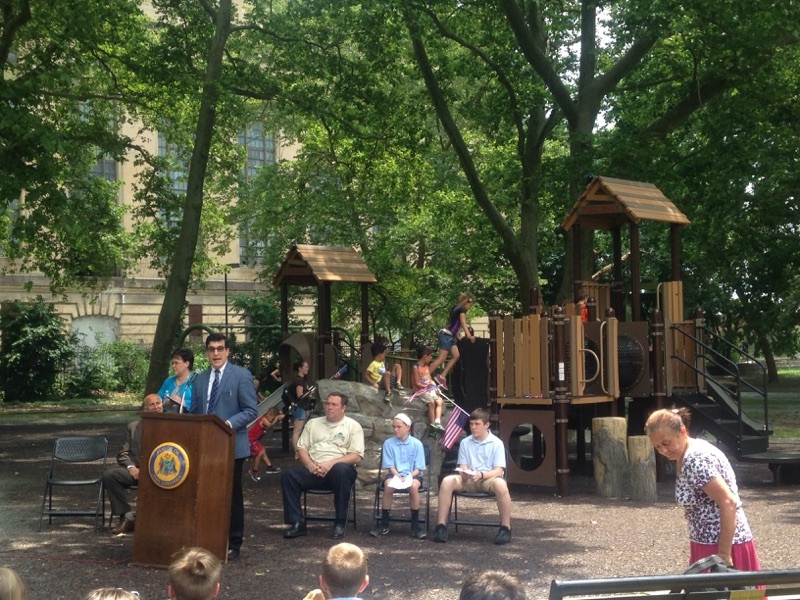 Penn Treaty Park’s new ADA accessible playground is complete, with a sparkling complement of slides, swings, and tunnels. 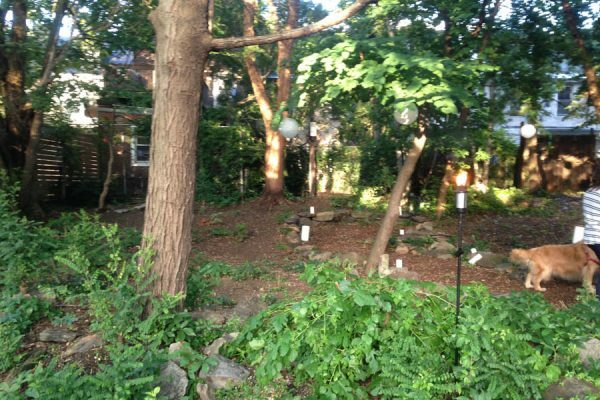 The renovations are thanks to a coalition of the Riverwards community, particularly Friends of Penn Treaty Park, and allies in the city like Councilman Mark Squilla. 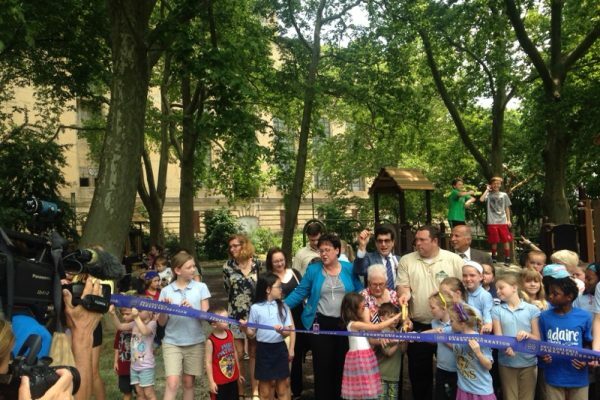 At the ribbon cutting ceremony for the playground on Wednesday, June 14th Squilla praised the park stewardship from Riverwards residents, who he said look out for the city’s maintenance personnel and make sure that problems get reported. “We know we have eyes and ears out,” Squilla said. A.J. Thomson, president of Friends of Penn Treaty, paid tribute to the parks storied 333-year history, which has its roots in the Lenni-Lenape tribe. 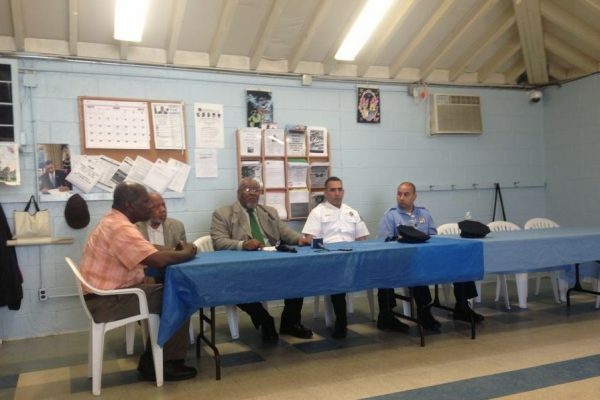 “This is a place where chiefs meet,” Thomson said. The throng of mostly students who had gathered for the opening ceremony got out of their seats and cheered, some with fists pumped, though they had to sit back down and wait until the end of the ceremony before streaming towards the ice cream truck at Penn Treaty’s parking lot. 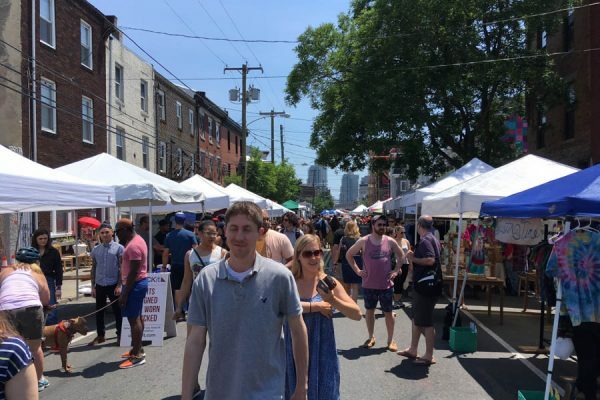 Ott Lovell discussed her department’s renewed focus on Fishtown: In addition to the playground buff up, Adaire School’s play space and the Fishtown Recreation Center have also received investments. “Some really great stuff is happening for young people and young families in Fishtown,” she said. In another piece of news that day for Parks and Recreation, an appeal court ruled that the soda tax could be instituted in Philadelphia. The soda tax is the basis and necessary condition for a one-time commitment of around $500 million to the city’s parks, pools, and recreation centers. Ott Lovell said that the money was absolutely vital to continue maintaining the city’s network of parks, pools, and recreation centers. 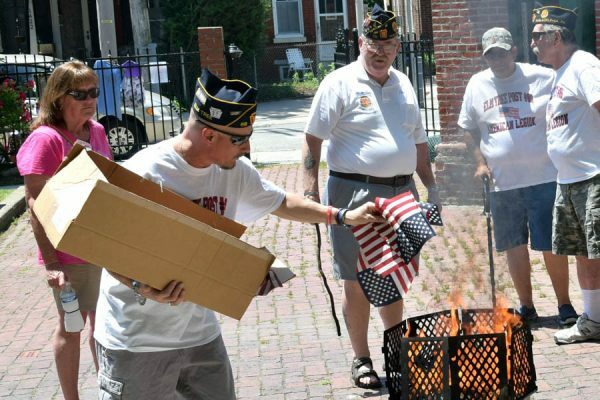 “We’re getting to the point where we can’t continue to operate them, they’re not safe,” she said, citing the Fishtown Pool, which was leaking into the library, that was on the razor’s edge of closure before the department scraped together enough money for repairs. Ott Lovell’s annual capital budget is $8 million, meaning that the soda tax inlay would be worth more than 60 years of Parks and Recreation’s allowance. 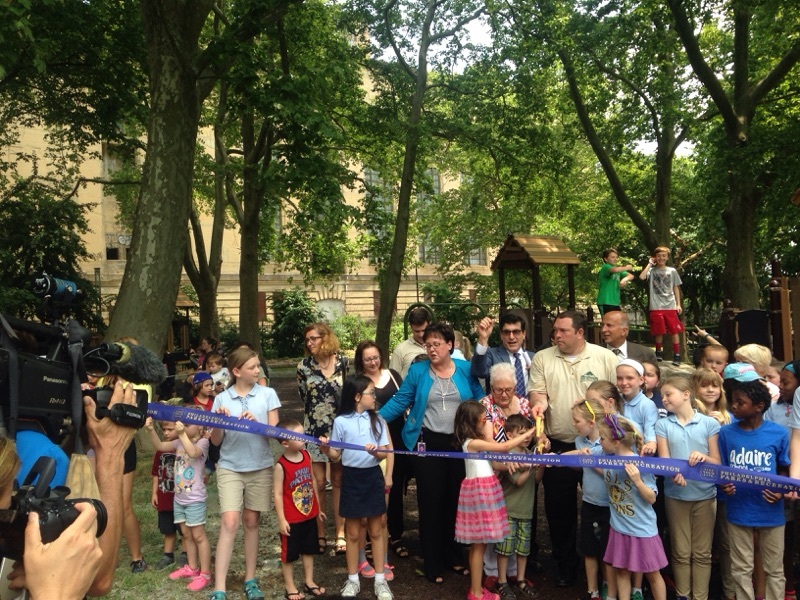 City officials were not the only ones on hand to celebrate the playground. Finn Mahoney, age five, gave a thumbs up when asked for his opinion. “I did like the slides and the pretend tree,” he said. “My whole life, even when I was a kid I used to come here. 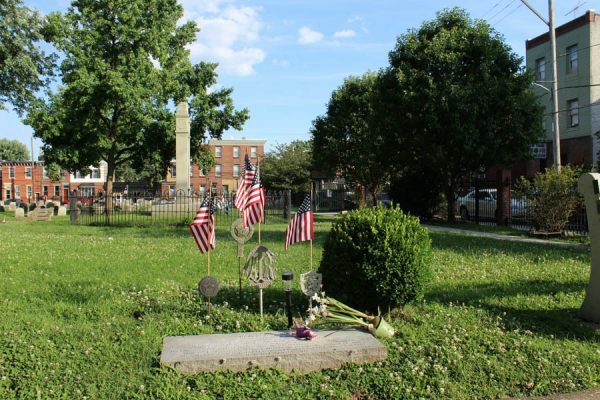 This park has been in my life forever,” Georgeanne Mclann said. She liked that the new playground is far away from the waterfront, where she worried about kids falling, but already is looking for a new park improvement; bathrooms. Ott Lovell hinted in her speech that the Park may be in line for more upgrades. If the soda tax money does ultimately come through, restrooms just may, indeed, be coming to Penn Treaty.